We, the members of Organising Committee, are glad to announce that the motions for Heart of Europe 2017 are ready. Jakub Kadlec as Chief Organiser has appointed Motion Committee on the 1st of September 2016 in accordance with Heart of Europe rules. Motion Committee consist of Chief Adjudicator Simona Anca Mazilu and two other members: Itumeleng Kenneth Mohanoe and Mgr. Martin Rezny . In cooperation with Organising Committee, Motion Committee is following slightly different system of tournament which has been established last year. At Heart of Europe 2017 we are going to have just three prepared motions instead of five. Two of them for preliminary rounds, where each team debates each side of motion, proposition and oposition. We believe that this is a great learning opportunity which also leads to tolerance when debating the topic from both sides. The third motion is for grand final debate, and since our tournament is called Heart of Europe, the topic is going to relate to the global region of Europe. 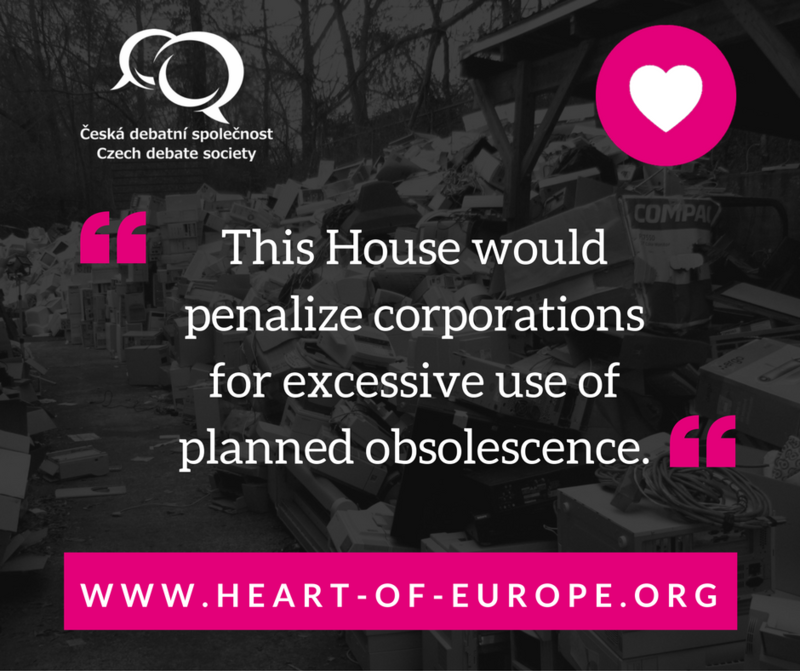 This House would penalize corporations for excessive use of planned obsolescence. Motion Committee strongly believes, that planned obsolescence is really global problem and we should speak up! This House believes that the United States of America should shift its foreign policy towards cooperation with Russia. Motion Committee strongly believes, that this topic touches all participants of the tournament, since we are really global community all around the world. 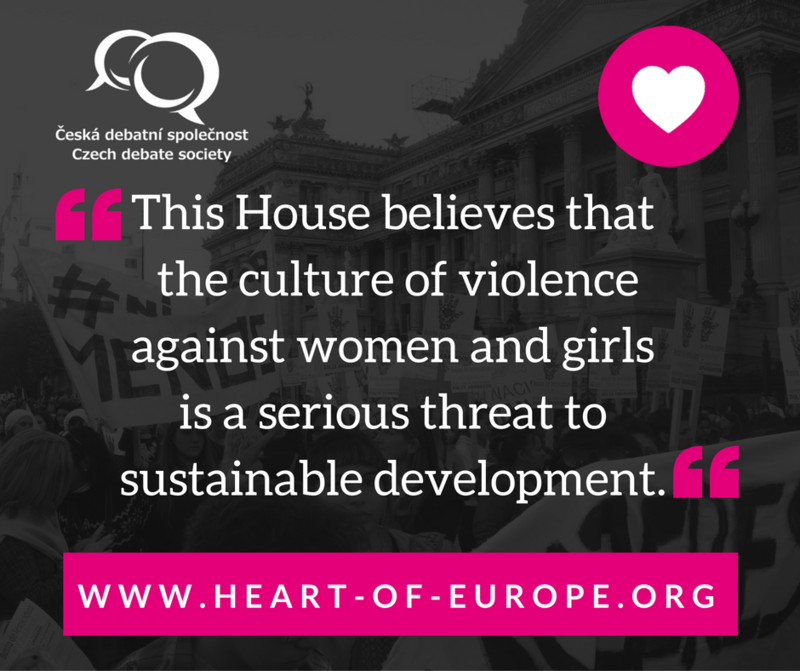 This House believes that the culture of violence against women and girls is a serious threat to sustainable development. Motion Committee strongly believes, since we are in Europe, we should debate also European topics. When European Union designated year 2017 as the year to eliminate violence against women, we are really happy, that we can open debate on this topic because we believe it is not just local problem in European Union but global one and the motion should be fair to debate to debate teams.